Traveling this summer? Tired of dragging all of the gear to and fro? Make things easier with Munchkin’s Travel Booster Seat – this stylish travel bag instantly transforms from a convenient feeding booster seat to a travel bag! Your little one’s necessities, such as bottles, diapers, wipes, and other essentials can tuck right inside the inner pocket. When your child is ready to eat, just open up the bag and the booster seat is ready to be used! 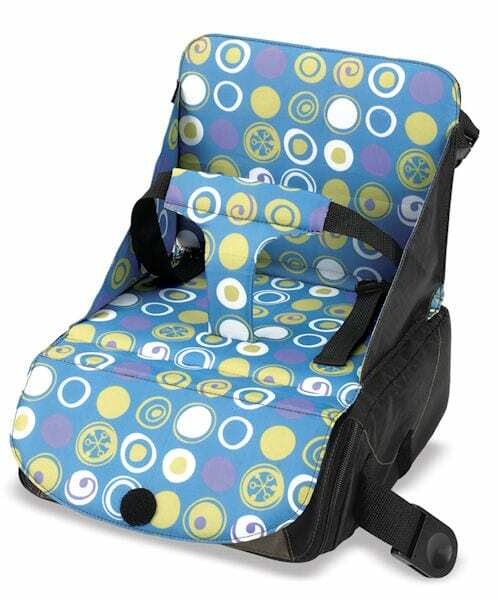 The booster seat has adjustable heights, and is made with a material that is super easy to wipe clean after eating. This is one smart item that you won’t want to leave home without this summer! For more information or to locate a retailer near you, please visit www.munchkin.com. I can’t offered for a car,or i will buy it for my baby…. It’s very useful for baby if i have a car.